A huge space rock approaching Earth is set to make a relatively close pass next week when it flies by our planet at about one-eighth of the distance to the moon. 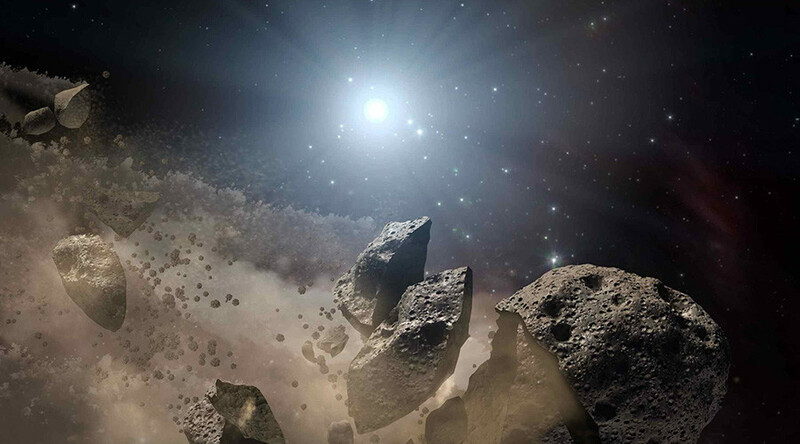 NASA said it would use the opportunity to test its ability to tackle the asteroid threat. Asteroid 2012 TC4, approaching Earth at around 30,000 mph (14 km/s), is set to pass at a distance of about 27,000 miles (43,500 kilometers) on October, 12. Initial estimates released by NASA in July indicated that the asteroid, first discovered five years ago, would pass Earth at a much closer distance – around 4,200 miles. While the flyby poses no threat to Earth, NASA will use it to test “recovery, characterization and reporting of a potentially hazardous object approaching Earth,” the agency said in August. NASA estimates put the size of the space rock at 10 to 30 meters in diameter, making it similar to or larger than the Chelyabinsk meteor, which measured about 20 meters in diameter. The 2013 Chelyabinsk incident caused damage to hundreds of buildings and blew out thousands of windows. Around 1,200 people sought medical attention after receiving injuries inflicted mainly by flying glass from smashed windows. Over 50 were taken to the hospital, and no deaths were reported. The space object weighed about 10 tons before entering Earth’s atmosphere, estimates by the Russian Academy of Sciences said at that time. A bright flash from the meteor was seen in the Chelyabinsk, Tyumen, and Sverdlovsk regions, Russia’s Republic of Bashkiria, and in northern Kazakhstan.